CS-Cart “Product stickers” add-on helps to attract the existing and new visitors to necessary products and even categories by adding labels with call-to-action text. In addition to this functionality an admin can set auto stickers On sale, New arrivals, Coming soon, etc. and even set an expiration date for each sticker. 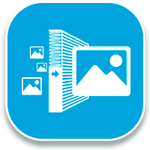 The add-on is easy to use, just upload your images, choose the label’s position and wait for the result. Moreover, not only one but several labels can be attached to any product. Increase your sales by telling your customers about discounts, special offers and other promotions. Allows to attach labels to a single product/all products of a category. Ability to specify the label’s position, user-defined CSS class. Allows to attach as many labels as you like to products. Ability to set for each language its own sticker (multi-lingual sticker support ). newAbility to upgrade the add-on via Administration panel ( for CS-Cart v.4.3 and above). 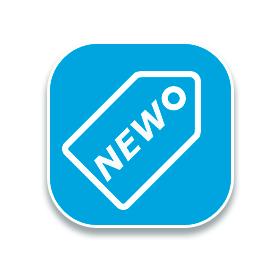 newAllows to add stickers to several products at once via “Global update”. newStickers can be exported via Export page. newAutostickers: On sale, New arrivals, Coming soon, Free shipping, Most popular, Bestseller, Top rated, Sold out. Ability to display stickers only on Products or Categories or Everywhere. Ability to set the timeframe during what a sticker will be displayed. More suitable way of adding stickers to a product via Stickers’ picker. newNew autostickers: In stock, Returnable, Age verification and weight stickers. newAbility to assign stickers by features (for the whole feature or for each specific variant of the feature). The add-on is compatible with CS-Cart and Multi-Vendor 4.1.x - 4.9.3 versions. Have an idea how to improve this product? Share it with us! Use the “installation and documentation.txt” file for the following instruction. After the add-on installation go to the Administration panel -> Marketing -> Product stickers. choose labels position and their statuses. How to add a new sticker? Go to Marketing -> Product Stickers. Click the “+” button at the right top corner of the page. Use available period – tick this check-box in order to set the time during that the sticker will be displayed. Choose “Available from” and “Available till” dates. Statuses - choose “Active” to display the label in the storefront or “Disabled” – not to display. How to add a new sticker to a product? Go to Products -> Products -> choose the necessary product -> click the “Add-ons” tab. On the appeared page choose “Product Stickers” picker. Then tick the necessary sticker and click the “Add stickers” button. How to apply a sticker to several products? Go to Products -> Products -> tick all necessary products and click the gear at the right top corner of the page -> choose “Edit selected”. On the appeared window unselect all items -> tick the “Product Stickers” item and click the “Modify Selected” button. On the appeared page you can “Apply values to all the selected products” or to each product individually. Go to Add-ons -> Manage add-ons -> click the gear opposite to the add-on name and choose “settings”. 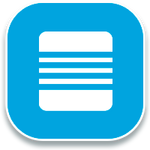 Display only on the following pages – here you can choose from select-box where it is necessary to display stickers: Product, Category, Everywhere. On sale sticker – here you can choose a sticker that will be displayed on all products with a discount. 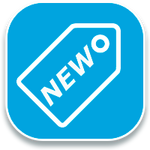 New arrivals sticker – choose the sticker that will be applied to all new products. Also you can type the number of days during which the product will be considered as new. Coming soon sticker – the chosen sticker will be applied to products which will be released soon. Here there is a possibility to specify the number of days before start selling during which a sticker will be displayed. Free shipping sticker – choose the sticker to apply it to all products with the “Free shipping” option. Most popular sticker – the chosen sticker will be displayed on most popular products. Also you can specify the minimum number of product popularity for this sticker. Bestseller sticker - choose the sticker that will be applied to products which number of sales more than specified number. Sold out stickers – the chosen sticker will be applied to all products that are “Out of stock”. In Stock sticker – the chosen sticker will be applied to all products that are “In stock”. Weight sticker – the chosen sticker will be applied to all products, which weight greater/less than specified number. 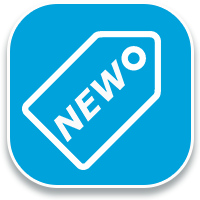 Returnable sticker – the chosen sticker will be applied to all products that have selected “Returnable” option (you can choose this option on the “Add-ons” tab of product editing page). Age verification sticker – the chosen sticker will be applied to all products that have selected “Age verification” option (you can choose this option on the “Add-ons” tab of product editing page). How to set the time during that the sticker will be displayed? Go to Marketing -> Product Stickers ->choose the necessary sticker -> click the gear opposite to its name -> choose edit. Use available period – tick this check-box in order to set the time during that the sticker will be displayed. Choose “Available from” and “Available till” dates. How to assign stickers by features ? Stickers by features allows to assign stickers depending on product features. It is possible to assign sticker for the whole feature (any feature variant) and also for each specific variant of the feature. Go to Products -> Features -> choose the necessary feature. On the appeared window find Product Stickers and click “+” -> choose the necessary sticker. Go to Products -> Features -> choose the necessary feature -> “Variant” tab. Got this add-on, as it allowed you to create and upload your own images to use as stickers, and you could position them suitably. Initially had issues where the addon was not showing after entering the product key. But the developers were quick to get back to me and found the problem to be my server blocking requests. So got my webhost to whitelist the server and it worked. They also went the extra step to tweak the add-on as it clashed with another add-on I had (to show videos on my product gallery). In summary, though the add-on didn't work straight out of the box, their quick attention to my problem and fixing it, definitely earned my trust to continue purchasing from them. This addon very helpful, I am looking for new version which support upload "text lable" also. Very nice addon, comes with great support too ! Модуль Product stickers очень пригодился для мотивации покупателей. Удобное управление в несколько стиккеров позволило грамотно сделать спецпредложения и различные акции. В связи с этим заметно увеличилась конверсия и продажи. Спасибо разработчикам за полезное дополнение в виде стиккеров. Отличный модуль. Именно то, что я искал. Требовалось добавить стикер Распродано к товару, чтобы клиентом это было сразу видно. Excellent module. Exactly what I was looking for. It was necessary to add a sticker to the product "Sold to the customer" so that it was immediately evident. Our add-on is compatible with VIVAshop theme, but you need to get a bug-fix package for this theme. Please contact the theme developer in order to receive it.